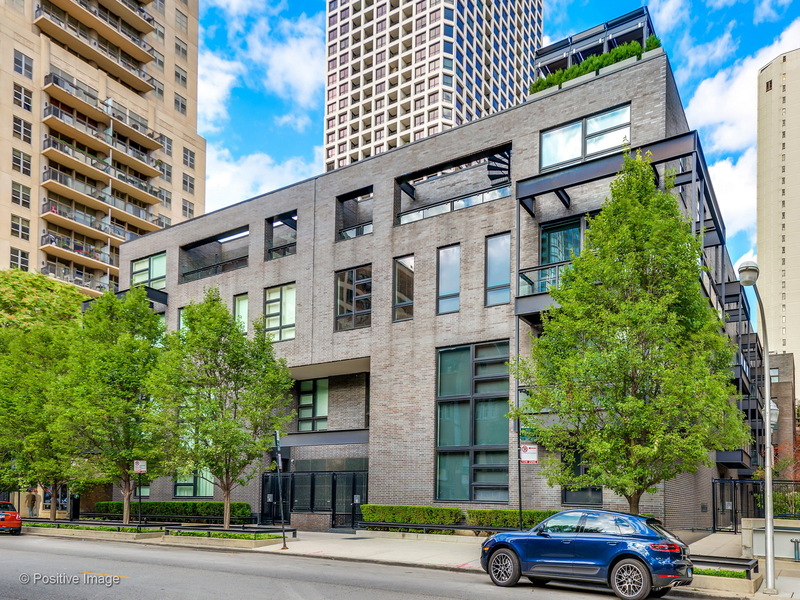 One-of-a-kind, end unit townhome at Oak & Dearborn that lives like a single family. High end finishes & perfect living space abound in this 5800+ sf, four story home. Dramatic, 2-story foyer. Huge living and dining room w/wraparound balcony with tree top views. Completely redone, the dream kitchen has Poggenpohl cabinetry, high-end stainless appliances, granite counters, and butler&apos;s pantry complete with full size wine refrigeration. The kitchen is open to an big family room with built-ins and eat-in space. Full floor master suite has a separate sitting room, giant closet/dressing room, and a super luxurious bath. Top floor offers three ensuite bedrooms, media room/rec space with bar, and a grand terrace. Main level guest bedroom/bath and attached 2 car garage. Elevator to all levels! Steps from Ogden School and everything the Gold Coast has to offer.